Amplified Wave Sole: Delivers more energy for faster balls speeds, while pushing weight lower and forward for a high, low spinning flight. 1770 Maraging steel face: Ultra thin, durable face material for faster ball speeds and freedom to create a more stable clubhead. Versatile playing profile: Sitting exactly between a long iron and fairway wood, the CLK is equally at home from the fairway or tee. 32 set up possibilities: With four different heads, each with an 8-way adjustable hosel, there's a setup, flight and look to suit the most sensitive eye. 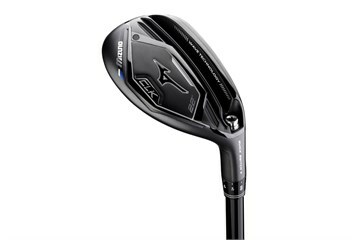 After trying various latest 2019 hybrids, I selected Mizuno CLK 22 degree with a soft regular shaft, this combination gave me the medium height penetrating shot shape and distance I was looking for. I have played 3 rounds with it to date; it looks good and inspires confidence! It is very easy to adjust and easy to use, I have hit some very good shots with it so far. My only criticism is that it seems to mark quite easily although I have not hit any small stones as far as I am aware and have played on two top quality golf courses with it.